Looking at the chart below we can see how the eyewear market is growing strongly. 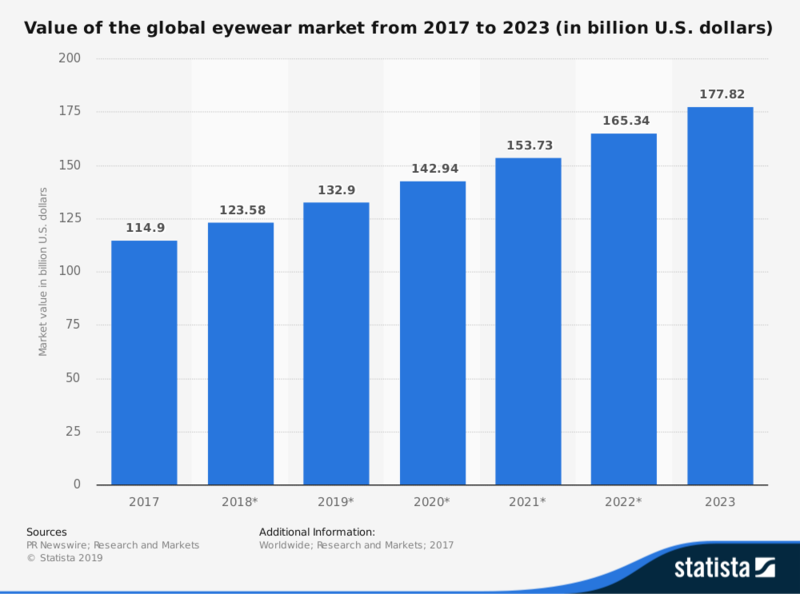 In particular, this statistic shows the market value of the eyewear market worldwide from 2017 to 2023. In 2017, the global market value of eyewear was estimated to be worth 115 billion U.S dollars. As for Italy, the market value, in 2017, amounted to around 3.8 billion euros. However, this florid scenario is threatened by some critical aspects that can put the market players in difficulty. Among these, the most dangerous is counterfeiting. Among the sectors most affected by this phenomenon is Made in Italy eyewear. It is estimated that only in the Italian eyewear sector counterfeiting is responsible each year for the loss of about 15% of the market, in value, we are talking about over 100 million Euros of turnover less for Italian companies in the sector and over 500 employees in less each year. As far as the consumer is concerned there can be repercussions in terms of health, since the counterfeit goods are of low quality and not subject to the controls of the authorities in charge. In addition, customers who buy counterfeit goods, unaware that they are fake, will blame the original product manufacturer if the counterfeit does not meet their expectations, thus damaging their reputation. If consumers do not realize that they have been deceived, they may be reluctant to buy other products from that manufacturer and may report their dissatisfaction with other potential customers. Finally, consumers who buy the authentic product may be discouraged from doing so given the availability of a counterfeit version. On the companies side, there is economic damage connected to the lack of sales, the reduction in turnover, the loss of image and credibility. Specifically, the decrease in profits and revenues due to counterfeiting involves less investment by rights holders, including investments in R&D activities. 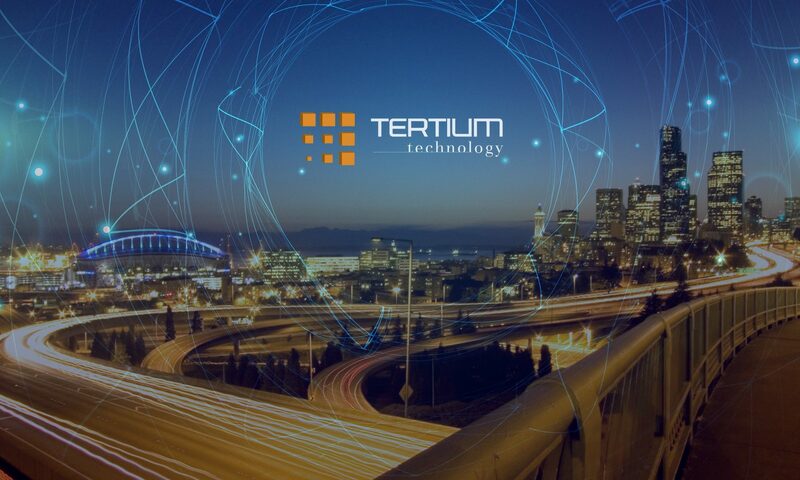 This could translate into less innovation, slowing down technological progress and reducing the rate of long-term economic growth. Is there a way to combat counterfeiting in the eyewear industry? The answer is simple … yes, with RFID technology! This technology makes possible to trace the glasses during the different phases, from production to sale, thus guaranteeing the authenticity of the product and selling through official channels. The identification of the product is done through an RFID tag (transponder) embedded in the frames. The tag contains the essential information which uniquely identify each pair of glasses. RFID makes product more unique! It should also be specified that the transponder is passive (it does not emit radio signals) so it is safe for users’ health. 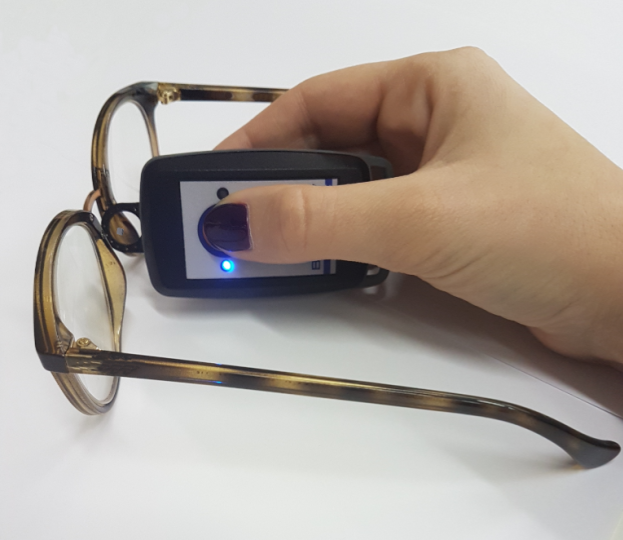 In the image below, you can see the reading of a tag, embedded in the frame of an eyeglass, through an RFID reader. The RFID reader, once read the tag, sends the data to the computer, where they will be collected, logged and processed. An additional use is to carry out the inventory. With RFID it is indeed possible to make an inventory of thousands of articles in a few minutes, without having to move them from the shelves. In fact, it is sufficient to pass the RFID reader near the shelves: the reader is able to read the tag also through barriers like cardboard boxes or plastic or other materials, so it is not necessary to extract the items from their packaging, but it will be sufficient to reach the shelves. These are just two extraordinary ways in which RFID is used today. As it becomes more common, we will see even more creative uses of this incredible technology.